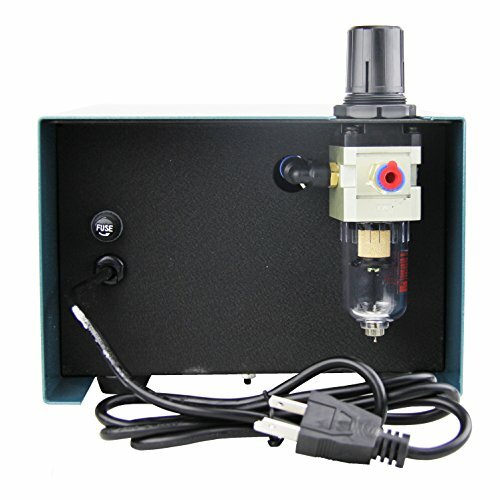 The Double Pneumatic Engraver is ideal for crafting, jewelry making, and metal working. 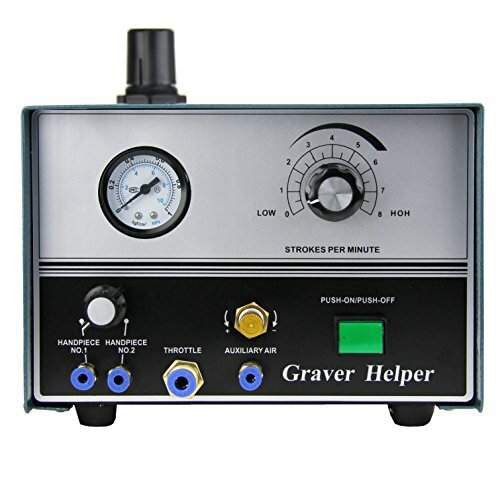 Features two different kinds of handpieces and adjustable speed. Requires 0-3 kg/cm^2 air pressure. Requires compressed air 1.4 cfm at 45 psi minimum (40 liters per minute at 3 bar minimum) . Does not include bits/burrs. 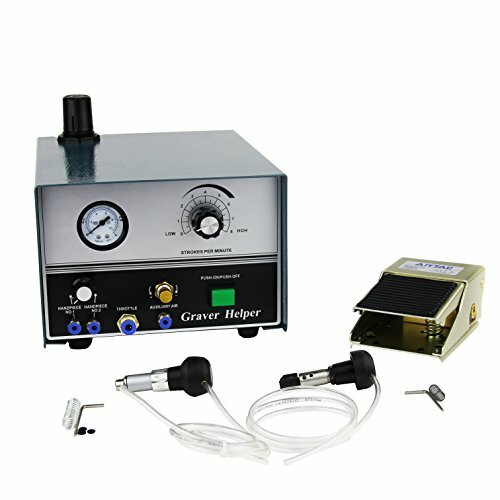 Buy Pneumatic Engraving Machine Jewelry Engraver Double Ended 2 Hand Pieces US Shipping at Discounted Prices ✓ FREE DELIVERY possible on eligible purchases. ADJUSTABLE AIR PRESSURE GUAGE: Also capable of adjusting the strokes per minute. Great for use on a variety of materials such as wood, metal, precious gems, and jewelry. FOOT PEDAL CONTROL: Leaves your hands free, cuts down on fatigue, and speeds up production. 2 DIFFERENT HAND PIECES: 4 cm round collet, Triangular collet, No shanks/bits/burrs included. SHIPPING: Ship from our Cleveland OH warehouse with an estimated delivery time of 2 to 5 business days. Expedited shipping is also available.